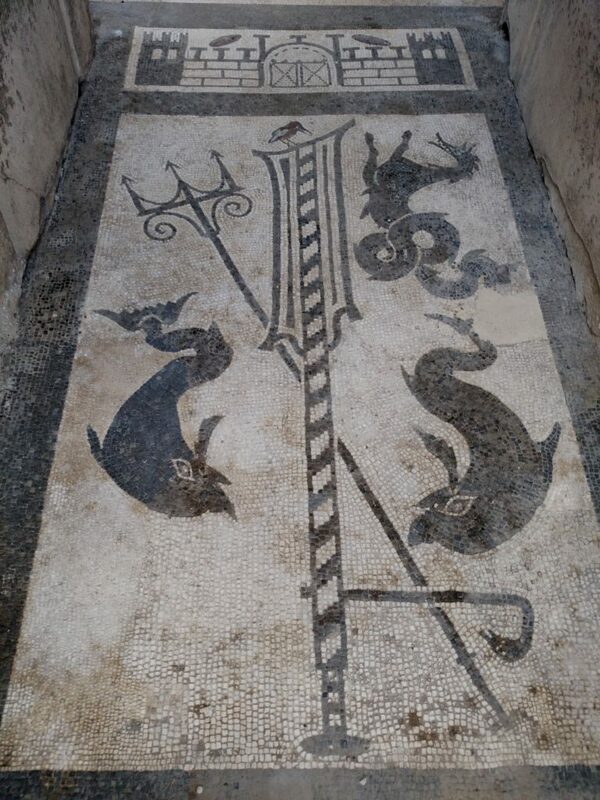 Once there was a city, a city named Pompeii. It was very pretty, ’til it blew up one day. 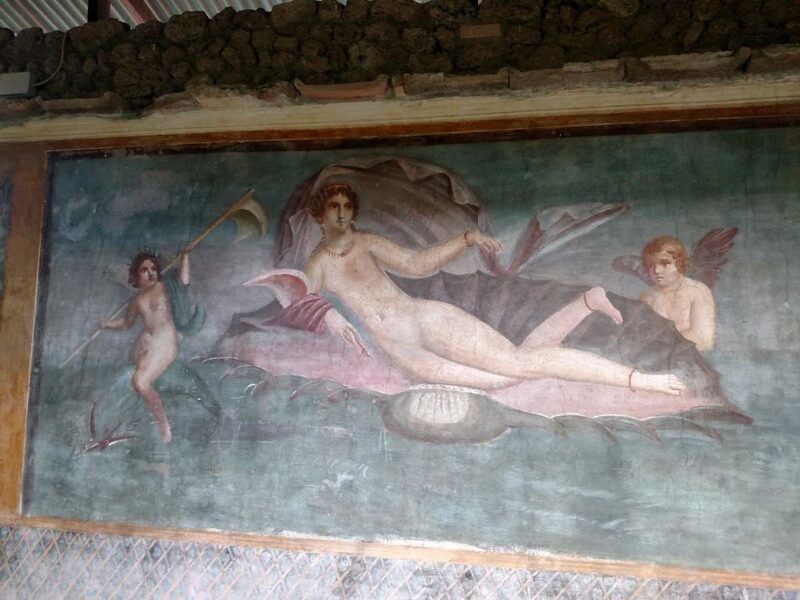 Pompeii, Pompeii, beautiful Pompeii. Pompeii, Pompeii, it blew up one day. 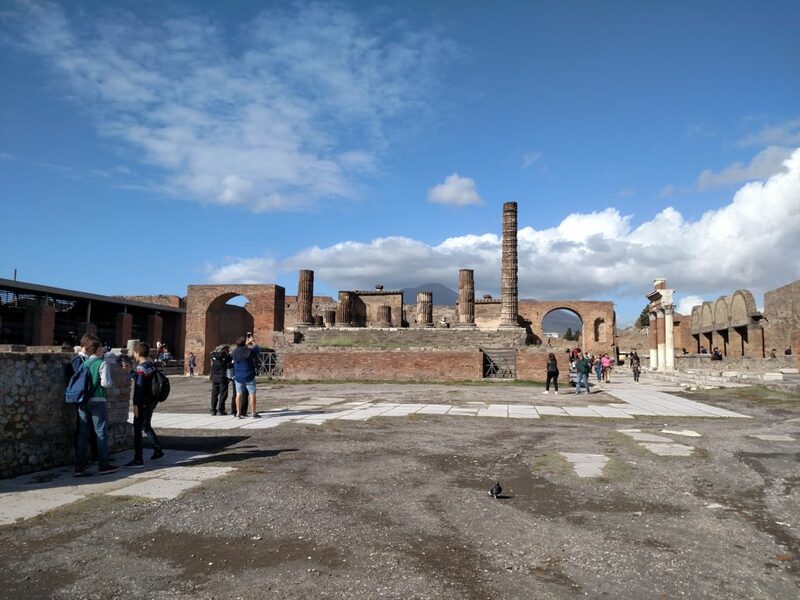 That was my sound track for exploring the the ancient ruins of Pompeii–a fantastic and somewhat eerie lesson in Roman history. 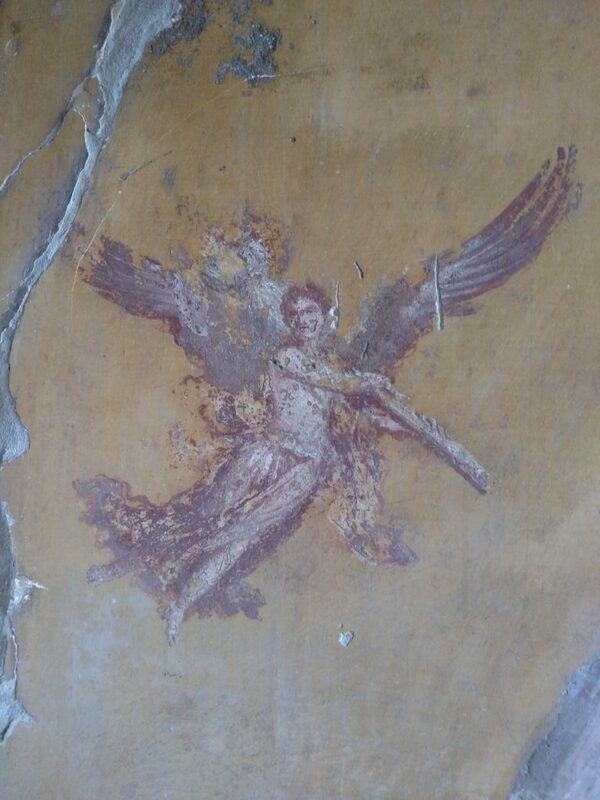 There are dozens of children’s books about Pompeii out there. 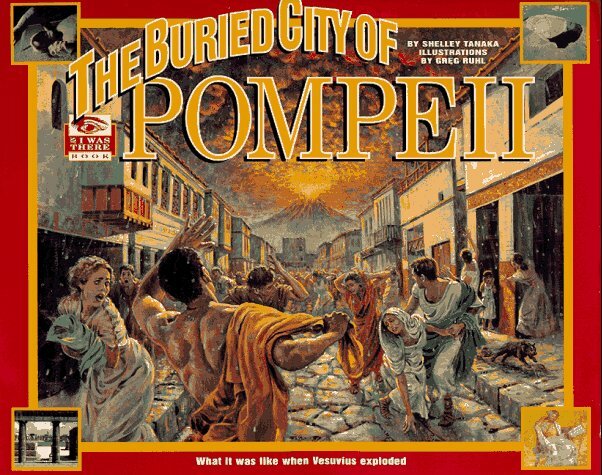 We happened to have The Buried City of Pompeii by Shelley Tanaka. The author creates a fictional character and recounts the explosion from his perspective. It also includes plenty of nonfiction extras and asides that offer facts about the geology, history and archaeology of it all. 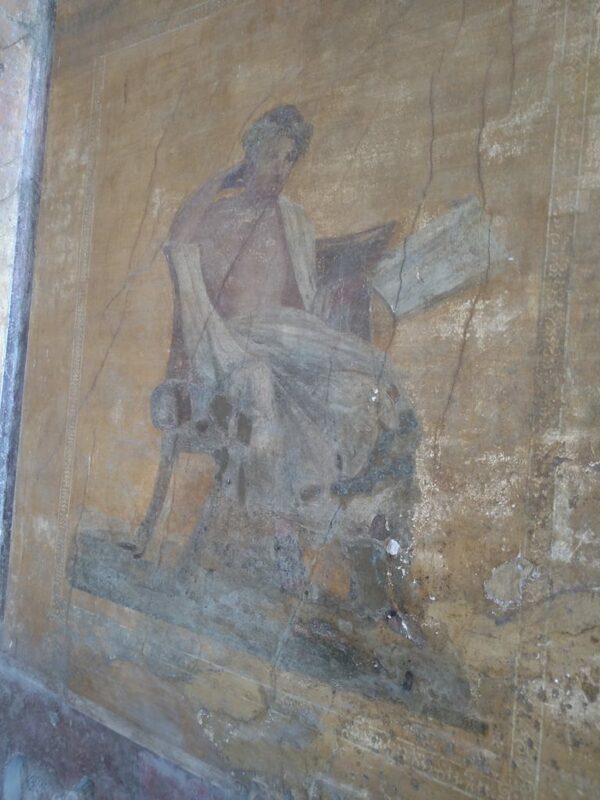 The main character in the book is the steward in the House of Menander, one of the grandest houses in Pompeii (and now one of the best preserved ruins of Pompeii). The book includes a diagram of the house and photos of the actual murals and mosaics, in addition to the fictional story of the steward. So the twins were able to remember and recognize these details when we visited the house in person. 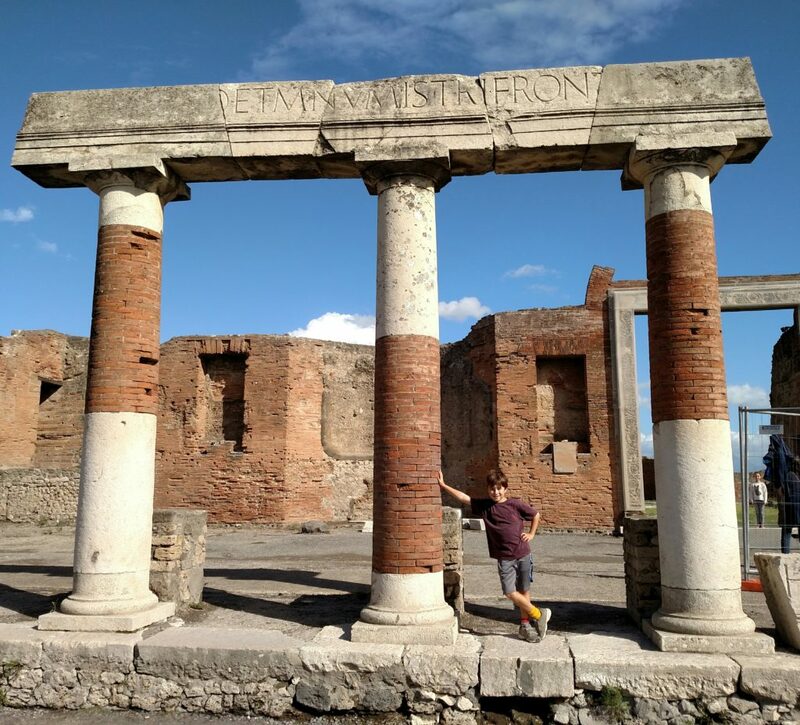 Other key places in the story were the forum, the baths and the amphitheater, all which we saw in person when visiting the ruins of Pompeii. 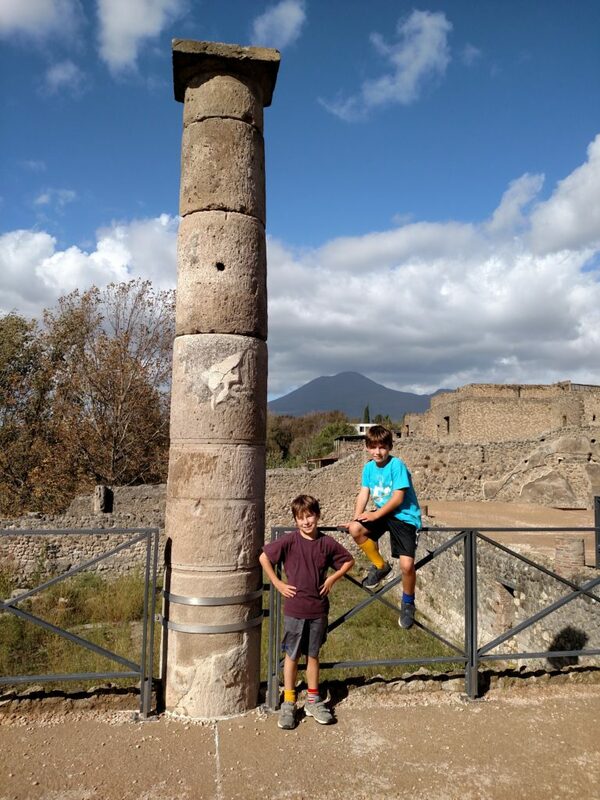 The twins found Pompeii fascinating, and then overwhelming. The place is extensive, so we spent the entire day there and we did not see it all. They loved exploring the courtyards and cobblestone streets. 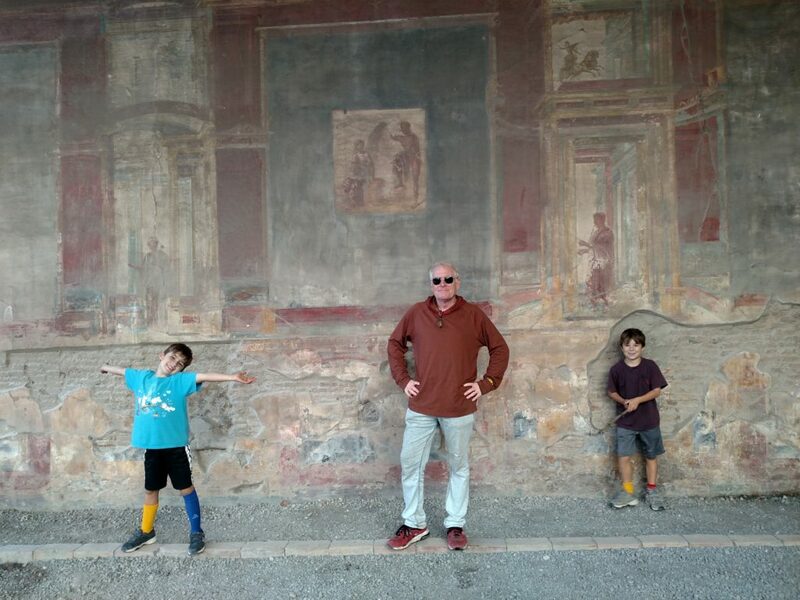 They got a kick out of the murals and mosaics. 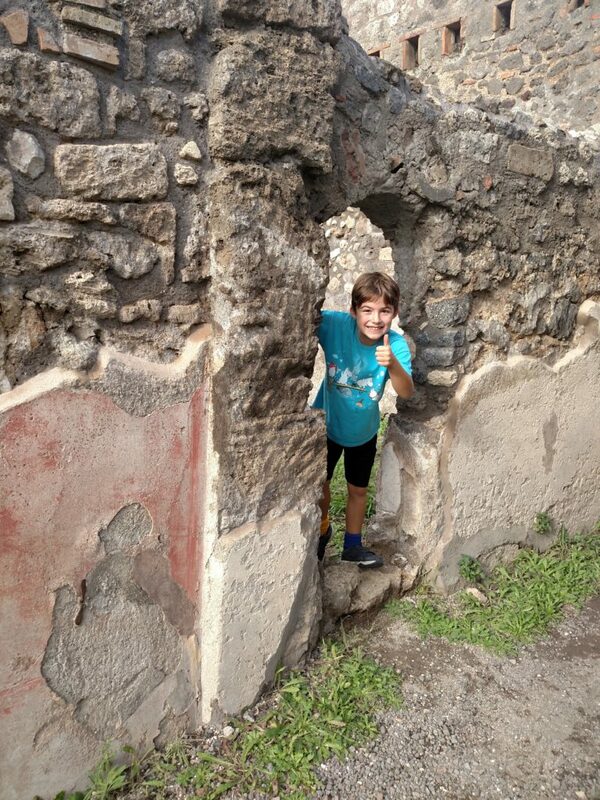 And of course, they resented that they were not allowed to climb on the ruins.